Ruths Retreat in Longden, near Shrewsbury sleeps 3 people. Ruths Retreat near Shrewsbury has far-reaching views across the magnificent Shropshire countryside; this delightful lodge boasts its own saltwater hot tub. 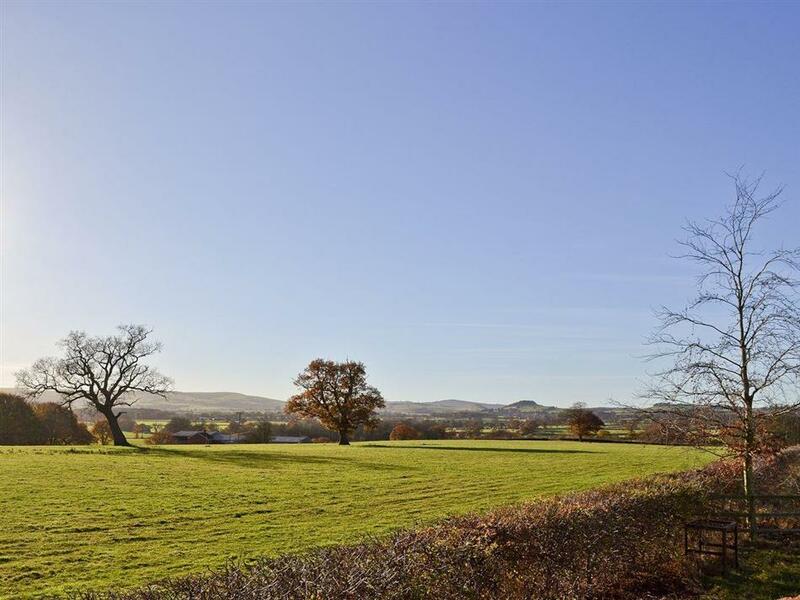 Conveniently located between the medieval towns of Shrewsbury and Ludlow, it is ideal for guests who enjoy walking, cycling and birdwatching. Spend a day at Ludlow Racecourse, or visit castles, museums and National Trust properties including Attingham Park, Powys Castle, Chirk Castle and Erddig. The Midland Gliding Club at Long Mynd is within easy reach, and the mid Wales borders are within a 20-minute drive. 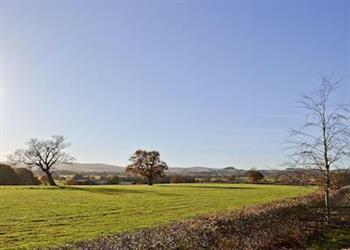 The shop, pub and restaurant are all 1½ miles from Ruths Retreat near Shrewsbury. Ruths Retreat is all on the ground floor. Kitchen area: With gas oven, gas hob, microwave, fridge, freezer, dishwasher and washing machine. LPG central heating, gas, electricity, bed linen, towels and Wi-Fi included. Decked sitting-out area. Saltwater hot tub for 5 (private). Private parking for 1 car. No smoking. Please note: No children under 16 years old. Holidays at Ruths Retreat run from Friday to Friday. For a better idea of where Ruths Retreat is, you can see Ruths Retreat on the map below. Ruths Retreat is in Shropshire; should you be on the lookout for a special offer, you can find all the special offers in Shropshire. It's always worth checking to see what is on offer at the moment. Do you want to holiday near Ruths Retreat (UKC1140), you can see other cottages within 25 miles of Ruths Retreat; have a look to find your perfect holiday location.